This was first featured on Space Wolves Blog in June 2015, but unfortunately the blog has since been lost to the warp. In an effort to retain the information we have republished it here. My Space Wolves Drop Pod Army List has evolved quickly into a hard hitting strike force that scales up from 1500pts to 1750pts, 1850pts and 2000pts. In this article I’m going to explain why it works well, how to scale it up and where it hits its limits in terms of scaling. Now, I’m the kind of player who tends to run the same list over and over again, having spent forever and a day writing it, testing it and fine tuning it. 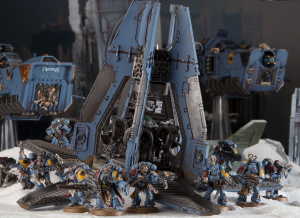 So this Space Wolves Drop Pod Army is built around a 1500pts core force, with various bits bolted on later. But the 1500pts core is the backbone of the army. Personally, I like having a main force, then being able to swap around my ‘bolt on’ units to try out different things without becoming too divergent from what the core of the army is about or how it plays. It’s not like switching from an army of Grey Hunters in Drop Pods to a mob of Thunderwolves, backed up by a Knight and a Sicaran Battle Tank. Because that’s quite a steep learning curve if you’re not playing both of those forces regularly. I you want to become awesome with you army, you should just be playing one kind of list again and again. Because practice makes perfect. This is the core force of the army with a mixture of all the right units you need for a good game. 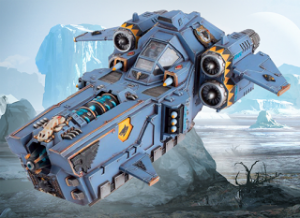 It’s got plenty of shooting, plenty of smashing and has a few tricks up its sleeves thanks to Ulrik The Slayer and all those Troops in Drop Pods. This is a Combined Arms Detachment in order to access “Objective Secured” for all the Troops and their Dedicated Transports. And let’s not forget that you can declare Night Fighting on the first turn as well – which I highly recommend. All of the guns in this army are relatively short ranged and you’ll want to minimise casualties from your opponent’s long ranged guns, as he tries to bring 100% entire army to bear down on 75% of your army. 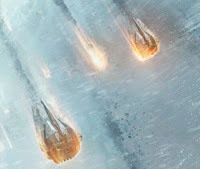 While it may be tempting to take The Company Of The Great Wolf Detachment from the Champions of Fenris book, this kind of heavy handed approach to a Drop Pod themed list will not serve you well – quite simply because you need Objective Secured on your Drop Pods to cling to those Objectives. Especially if you’re playing Maelstrom missions. This also gets around the mobility issues associated with running a Drop Pod themed force. Because your Drop Pods can secure the Objectives, while your units go off to contest and claim more. This isn’t a “kill everything” kind of force. It’s a force designed for playing and winning missions. There is an odd number of Drop Pods, because in Drop Pod Assault you deploy half of your Drop Pods rounding up on Turn 1. So that’s 4 out of 7 Drop Pods, helping you to put as many units into your ‘alpha strike’ from the start of the game. A really obvious and easy +250pts bolt on. An upgraded Stormfang is 255pts to be exact, but there were some leftover points from the 1500pts army list. Aside from the Stormfang being a brilliant gunship that’s actually low enough to claim Objectives in Hover Mode due to how it fits on its flying base (the model has to be no more than 3″ from an Objective), this unit addresses the force’s lack of anti-flyer weapons, long ranged guns with high Strength and low AP. Previously, I had considered a 5-man pack of Void Claws to increase the number of units I could get in my enemy’s face on Turn 1. However, the army doesn’t need any more anti-troop units, even if they do allow me to re-roll my Reserve rolls. The Stormfang is a far more tactical and useful addition. Especially when there are already 2 dedicated assault units (the Berserker Dreadnoughts) who fulfill a close assault role better than Void Claws can. 1850pts is a strange number considering most of the time we scale up by +250pts from 1500pts. It can be tricky to find a 100pts unit that can fit into and have synergy with the 1750pts force. Remember that you need to keep an odd number of Drop Pods in order to ensure that your Turn 1 Drop Pod Assault is cost effective. So you would need to buy 2 Drop Pods before you added any units – which totally isn’t worth it. But we can easily add a Character to lead the 6 Wolf Guard with Combi-Meltas. Arjac Rockfist is an obvious choice (he can only join Wolf Guard and Wolf Guard Terminators). He’s awesome for his points. 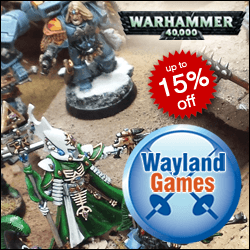 Although you’ll have to boot out a Grey Hunter from your list to afford him, as he’s a little over 100pts. Alternatively a Rune Priest with a Runic Stave, Psychic Level 2 and a Psychic Hood comes to just under 100pts. Okay, no points for imagination here. But I would DEFINITELY take a second Stormfang for another +255pts. It’s just so much more effective than all the other options from the moment it arrives. This army needs consistent high Strength, low AP shooting and one-shot Combi-Weapons cannot provide that. Not to mention that they’re short ranged. 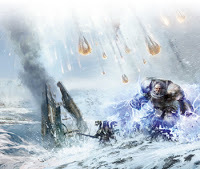 Other viable +250pts bolt on unit options are either short ranged, only effective at shooting for a single turn, don’t support the first wave of Drop Pod Assault units effectively or all of the above. Besides, think how awesome it would be if BOTH of your Stormfangs arrived from Reserve on Turn 2? The concept behind this kind of this scalable army list is that many supporting units and characters become ‘bolt-ons’ to the main core of the force, synergising with it and supporting it by compensating for the weaknesses. Most importantly, these are units which can immediately contribute to the battle on the Turn they arrive. There’s nothing worse than desperately waiting for reinforcements to arrive, then having to wait another Turn before they can effectively engage the enemy. However, this army will take time and practice to master. Knowing which units to put in your Turn 1 Drop Pod Assault and where to place them on the table will be the biggest challenge every game. Otherwise, you will face an uphill struggle for the rest of the game if you choose the wrong units. But this will come with experience. 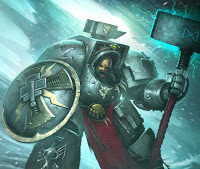 I’m unlikely to field him, but I do have a Wolf Lord in Terminator Armour with a Chainfist and Storm Shield. I could pair him with Arjac to lead the Wolf Guard as a +250pts bolt on if I want to go smashing things. But the Stormfang is by far the more sensible choice. If you’re like me and you see an army scalable army list that looks good and you’d like to play it, you’ll want to price it up. So I thought I’d make it easy for you and let you know how I did mine. 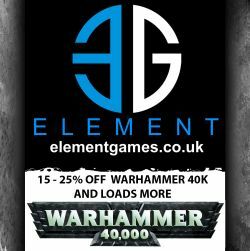 I didn’t buy it all from Games Workshop. I made sure I got a significant discount from an online retailer instead. Although some weapons are best acquired from Forge World. I’ve tried to price this up as cheaply as possible for people who don’t want to buy Forge World MKII Marines for their Wolf Guard or any over the top snazzy bits like that.